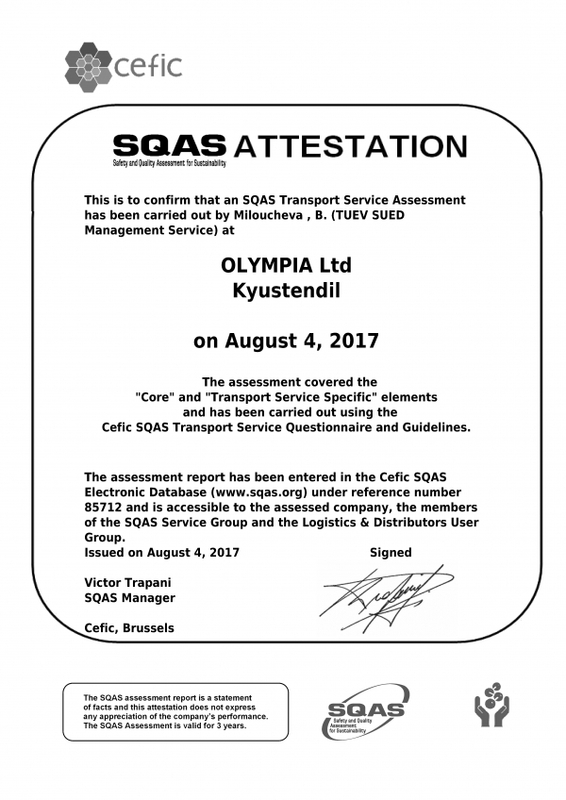 OLYMPIA Limited is one of the leading licenced transport companies in Bulgaria. Founded in 1998 with more than 20 years of experience, it has developed and become a leader in the transport of liquid chemicals and hazardous loads (ADR). Its long and constant presence on the market combined with our fleet capabilities and qualified workforce have made Olympia Limited a reliable partner for many European chemical concerns. On the basis of our many years of experience in international freighting services, we offer our customers the most exact and high-quality service. Olympia Limited is based in Bulgaria at 2500 Kyustendil, 24 Nikolichevtsi Pat Street.